Many startup and established real estate businesses make the mistake of trying to function without knowing the real value of their businesses. Accounting is a critical component of a successful real estate business. Instead of spending tons of capital on accounting firms, real estate businesses can opt to use one of the many accounting software for real estate businesses that are available on the market. Brokerage firms can also take advantage of real estate brokerage accounting software for their businesses. Here, we sample 5 best accounting software for real estate businesses. FreshBooks is an intuitive program that can be incorporated into real estate, offering tools for real estate income generation, customer lists, property tracking, and more. 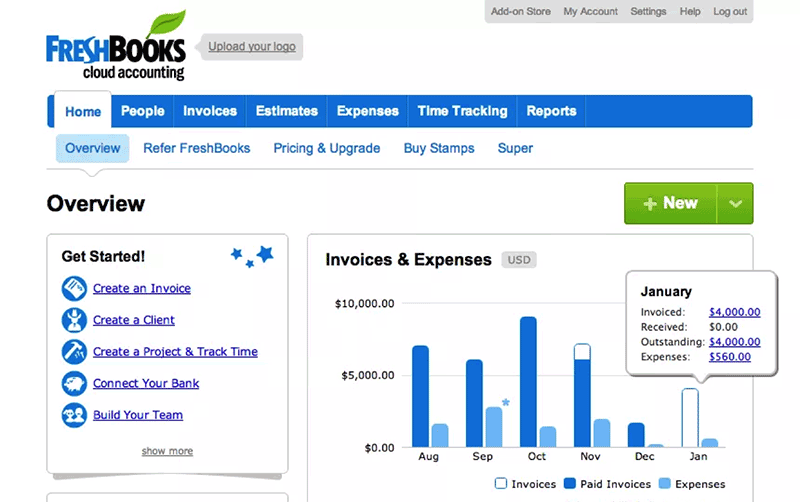 The interface makes it easy to manage expenses, revenue streams, banking, cash flows, invoices, taxes and receipts. Each of these can be applied in all real estate categories. Add a number of custom fields in FreshBooks for property tracking and easily manage, sort, and store critical information such as floor plans, property descriptions, lease dates, due dates, current rent, appraisal value, and maintenance. FreshBooks can be easily complemented by other accounting and budgeting software to sync with credit cards, investments and bank accounts among others. Realtyzam is a cloud-based real estate accounting software that is popularly used to manage receipts and track expenses, which helps provide an indication of a business' financial health. It enables real estate agents to track income and keep tabs of marketing and listing fees, commissions, and broker fees. It is also quite useful for generating reconciliation and tax reports in order to file tax returns at the end of the financial year. As well, Real Estate agents use it to track conversion rates on a monthly or annual basis and also to provide insights into productive sales leads over a given period. Realtyzam is available for both desktop and mobile-based platforms, including Android and iOS devices on a flat monthly subscription fee. Xero is another cloud-based real estate accounting software that allows you to manage your company's accounts remotely. This application allows users to keep track of invoices, expenses, and tax inputs and outputs seamlessly from a PC or mobile app. It also integrates with your bank accounts, enabling you to reconcile expenses. Xero also comes with a neat payroll processing feature to help automate the monthly payroll. Cloud-based accounting applications such as Xero enable users to synchronize data with accountants and bookkeepers, which enable businesses to run smoothly. Xero is especially useful for portfolio management where most functions are automated and easily managed remotely. Additionally, like Back Office, Xero comes with QuickBooks integration that lets you sync data between Xero and QuickBooks. A property management solution based on the web, Buildium allows property and residential managers to effectively control their business in virtually every critical aspect. The accounting software for real estate investors offers streamlined management of property rent through important features from lease and tenant tracking, to complete ledger general accounting, on demand reports, late fee notifications and automated rent reminders. Accounting features of Buildium include secure bank account management, rent acceptance, creation of critical reporting, monitoring and reporting on property and business expenses, accepting and making online payments for vendors, and association fees and rent. This is a construction and real estate accounting software and management solution that brings together different aspects of real estate management on a single platform. Sage 300 Construction and Real Estate incorporates Sage's experience in accounting software, providing users with unparalleled accounting functionality. Real estate agents can use Sage 300 to manage accounts payable, accounts receivable, ledger accounts, and payroll processing. While Sage 300 can store large amounts of data, it's not the easiest application to use. Sage 300 also suffers from scarce updates, which makes the whole user experience feel a bit outdated. Real estate accounting software perfectly helps manage accounting and finances of your real estate investment. However, there’re still lots of things you can’t do with accounting tools. Extracting data for easier use and collaboration can be a hassle for instance. PDFelement is the complete solution to use alongside real estate accounting software. 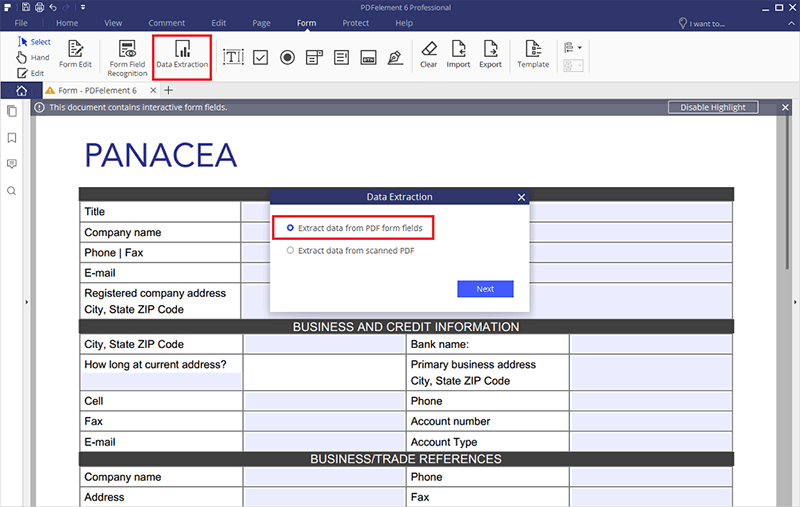 It helps extract data for accounting and financial management purposes on mobile or desktop, protects documents with passwords, creates fillable forms, converts files into PDF, redacts sensitive information, and has automatic form field recognition. Even with real estate accounting software, it’s hard to efficiently analyze data and reports without standardized documentation. PDFelement is easy to use for real estate and offers unique features, such as PDF editing, organizing, converting, and creation. You can effectively standardize documents through desktops and mobile devices. PDFelement allows for the sharing of PDF documents without losing formatting and layout of documents. It also ensures that diverse users are able to work on the same documents across both Mac and Windows. It is often difficult to use real estate accounting software to create and fill forms. Manual printing takes up a lot of time for the organization, as forms have to be filled and sent by hand. PDFelement can help when used together with real estate accounting software to reduce the time you need to work on creating and filling accounting workflow forms. PDFelement lets your effortlessly create forms from scratch or fill existing forms using the “Form” tab. Paper-based accounting can be tedious and time-consuming. PDFelement allows you to make your real estate accounting software processes paperless through advanced Optical Character Recognition (OCR). OCR ensures top-notch editable digital files are created quickly and easily from paper files. Many real estate accounting tools lack effective methods of efficiently converting thousands of documents into editable and usable forms. But PDFelement can. The OCR feature in PDFelement detects characters exactly as they appear, and converts them into editable and usable digital files that are also searchable. This ensures you don’t waste hundreds of hours managing files and converting documents. When using commercial real estate accounting software you are often dealing with a lot of files and data. Extracting and exporting these files manually is a time consuming process. But a unique solution exists in PDFelement. 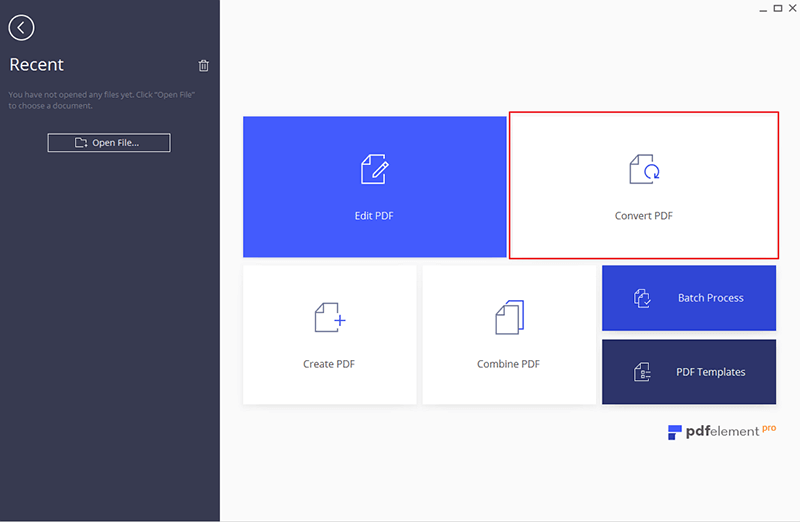 Rather than wasting time copying and analyzing data on paper and manually inputting the files and converting them into digital systems, PDFelements offers a one-click solution. It takes a few minutes and saves lots of time while ensuring you don’t make errors on your important digital files. The extracted data is immediately ready for analysis, editing, and using as you deem fit in your financial reports. Financial documents require sensitive handling to avoid exposing the wrong information to the wrong individuals. Real estate accounting software allows you to access a lot of files and data, but without protection of your information you’re constantly at risk. PDFelement offers a unique solution to add passwords, encrypt files, or redact data to protect sensitive information. You can manage diverse passwords simultaneously using PDFelement “Protect” tab. In the process, you’ll gain full control of your accounting files and can limit those who can view and open sensitive files in a unique way no real estate accounting software can provide.